It’s important to keep your teeth healthy by flossing and brushing your teeth daily. But some people often forget the importance of their gums. In fact, your gums can be prone to gum disease or gingivitis’ which can detrimental effects on your health. 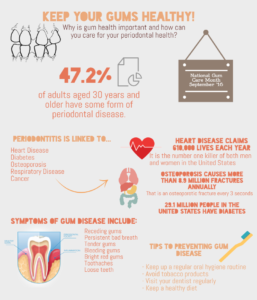 Learn more about how to keep your gums healthy in order to keep your body in optimal condition.